Howard G. Van Bortel founded Van Bortel Aircraft in 1985. It is privately owned and operated company today with 50 employees. Howard is an aircraft owner, pilot, and entrepreneur with more than 35 years of experience in the general aviation industry. Howard learned to fly in a Cessna 150 on a grass strip in Upstate New York in 1975 and quickly became passionate about flying and aviation—launching Van Bortel Aircraft with a $1,000 in the bank on a card table in his sister's living room. While never compromising principles, always providing customers with the absolute best Cessna aircraft and caring for customers like no one in this world, Howard G. Van Bortel turned a $1,000 investment into the world's most recognized, trusted, and respected Cessna dealer. In 1987 Van Bortel Aircraft moved to the Monroe County Airport in Rochester, New York and began specializing in Cessna 172s. In 1989 the operation moved to Arlington, Texas with more than 50 Cessna Skyhawks in inventory. In 1992 Air Power, Inc. was established to sell, service, and distribute factory engines and parts at wholesale prices to Van Bortel Aircraft's customers. By 1997 Van Bortel Aircraft's service center had become world renown for its quality workmanship on Cessna Aircraft and the Cessna Aircraft Company honored Van Bortel Aircraft with a Cessna PropJet Service Center designation—one of only 10 in the United States! In 2000, 2006, and 2012, as business continued to grow, Van Bortel Aircraft purchased additional hangars to expand its operations. Van Bortel Finance Corporation was established in 2010 to help customers finance their Cessna aircraft and genuine factory engines. In just over two years Van Bortel Finance Corporation has helped finance more than $30,000,000 in Cessna Aircraft! In 2012 Van Bortel Aircraft sold more than 165 Aircraft with Deliveries all over the world! 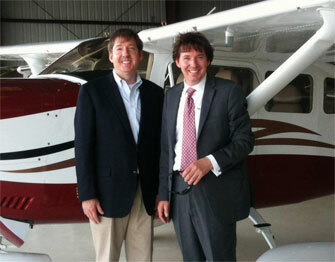 Our goal for 2013: 200 new happy Cessna owners! Call today and see just how fun, easy and rewarding owning a Van Bortel Cessna can be!